Through IMPACT!, we are accelerating the transition to a sustainable society by supporting young leaders with ground-breaking ideas to actualize their visions and be change agents in their communities. Three years ago, Kimiko Foster started a business called Seeds of Change Workshops—an idea she came up with while attending IMPACT!. Earlier this year, she launched her second business, Miiko Skin Co., a natural skincare product line that uses safe ingredients and incorporates the principles of sustainability she learned at IMPACT! Kimiko is not unique: our alumni from all across the country are working for a greener, healthier future on planet Earth. 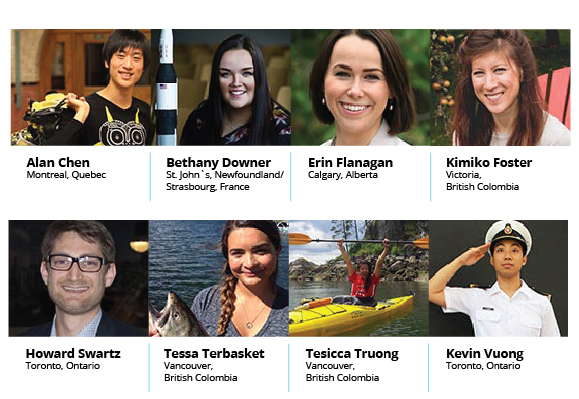 Thanks to young Canadians like Bethany Downer, new organizations are being created with sustainability at their core. Leaving IMPACT! inspired, Bethany realized that there was a need to reduce the amount of shoes finding their way into landfills. Since creating her business, One Step Shoe Recycling, Bethany has redirected over 16,000 tonnes of waste from landfills, while providing new shoes and happier feet for those in need. The IMPACT! Program is anchored by weekend training workshops, followed by individual support through coaching, mentorship, project development tools, and access to funding. This post-training support helps young leaders turn their inspiration into action, to ensure that their initiatives have the highest chance of success. This year, for the first time ever, IMPACT! will be coming to Atlantic Canada. This is a tremendous opportunity for young people to make a difference to the future of sustainability. Does this sound like you or someone you know? Registration is now open and applications must be in by November 6, or while space is available. In 2017, IMPACT! Training locations will include London, Ottawa, and Guelph.